the limitless study of the "deafeningly loud, extraordinarily expensive, rock-star-meets-the-road spectacle." I will never support the fact that Formula 1 has only one tire supplier and that a tire war is inexistent (and has been since Michelin’s departure from the sport at the end of the 2006 season). Bridgestone went from supplying five teams – Ferrari, Toyota, Williams, Midland, and Force India (Michelin supplied six) – to the whole grid. Good news? Bridgestone had more teams to test their tire, which, in turn, helped improve their compound for races. Bad news? We lost a crucial part of F1’s competitive ingredients. The tire war. Michelin left F1 in 2006 because the sport’s governing body decided that 2007 would see one tire supplier. The reason why Michelin did not provide a bid to become the sole supplier was because they didn’t feel the tire supplier got enough recognition if there was no competition. And it makes sense. Fine, you are the only tire company in F1: your name is branded on every car and on every fire-proof suit. But you have nothing to compare yourself to. It’s like if you were the only driver in a race – round and round you go waiting until someone objected to your level of entertainment. If nobody really objected then you are fine. But you’re not great. Competition brings out the best in people. 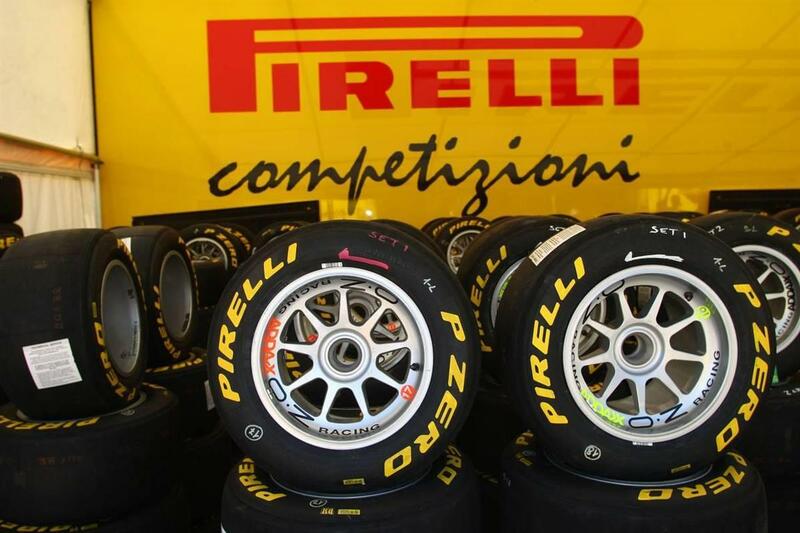 It brings out the best in everything and it would have certainly brought out the best in Pirelli (and the other tire). That aside, Trulli expressed his views on Pirelli and says they have got quite a problem (other than being the sole tire supplier). “I think something is still missing in the development, because the tires aren’t balanced yet,” Trulli said. “This is the biggest problem to face at the moment. Pirelli says that this is what the FIA asked them to do, to have tires that wear quickly, but I don’t think this is the problem. Alonso also went on to agree with Trulli on Pirelli’s compound development. “They degrade quite a lot, especially the rears, and the lap times are not consistent,” quoted PaddockTalk. His Ferrari F150th (not F150 anymore) was just under a second off the pace at a Valencia test. Apparently Pirelli also mentioned that the FIA had instructed them to construct a tire that would oblige drivers to pit twice during the race. I’m all for that. Whatever is the end result, it needs to be reached fast. We don’t want a repeat of the first four races of 2010 where the tire was almost lasting the length of an entire race and then two races down the calendar barely lasting at all. There was also word on Pirelli’s plan to differentiate the tire compounds (soft, medium and hard). Apparently they are going to color the tire logo a specific color (this is not confirmed). Now, if that were true, how is a normal human being with normal – not superhero – eyesight going to be able to see the color while the car travels at over 250kph? Fine, we might be able to see the color but last year’s solution, painting a visible line on the tire, was much better. I am glad Pirelli is back in F1. Change is good, I guess. Not for everyone, however. For fans of the sport who enjoy a couple of races a year, change to the sport might repel them. That, though, is for another post.